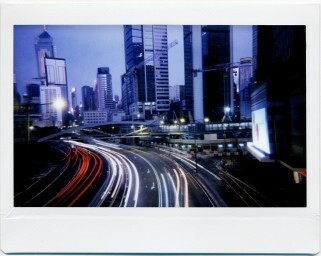 Make your instant photography skills sparkle and shine with the Lomo'Instant Wide Victoria Peak camera. Whether you’re relaxing at a pool party in the hills of Hollywood, sipping tea on the sofa while your dog does backflips, biking through Chilean vineyards or enjoying Sunday brunch with friends—simply select your preferred shooting mode and you’ll be on your way! 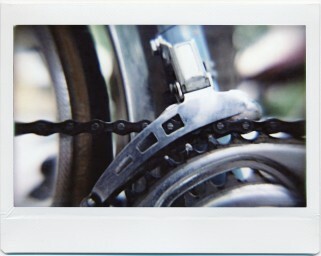 Engage auto mode and take advantage of its fully programmatic shutter. For every image you snap, the shutter will automatically determine how much light is necessary for perfect exposure—a totally hassle-free instant experience. 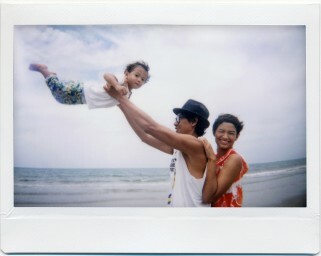 Close your eyes and imagine being able to snap an instant photo of yourself and your friends without having to push the shutter button. 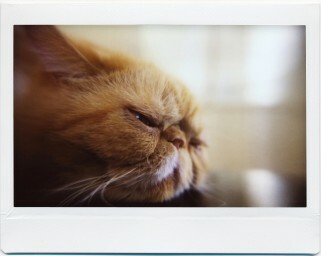 Now open your eyes—with the Lomo’Instant Wide, you can do just that. 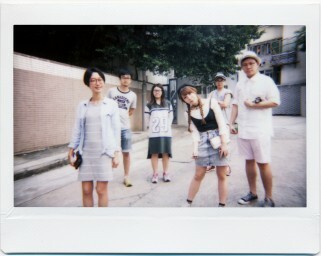 Remotely operate the shutter release with the lens cap of the Lomo’Instant Wide to take great group and party photos. 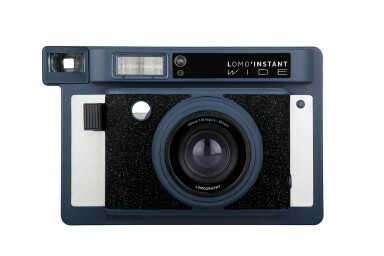 Conjuring the spirit of shooting large film format Polaroids of yesteryear, the Lomo’Instant Wide uses Fuji Instax Wide film, which is twice as wide as Instax Mini film. With the PC Sync Socket on the Lomo’Instant Wide, you can approach every lighting situation with ease—perfect for everything from single flashes to studio flash kits. 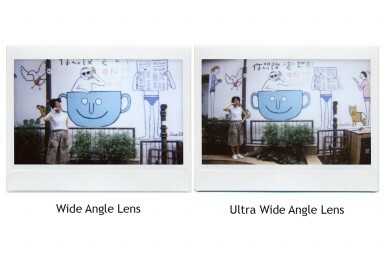 Being a 35mm equivalent, the built in lens on the Lomo’Instant Wide means wide format instant versatility like never before. Take gorgeous portraits using the closest focusing distance (0.6m), keep your distance with the 1-2m setting, or simply switch infinity for everything else! 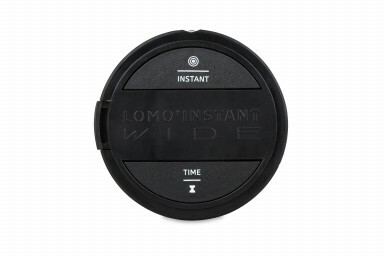 Capture everything and even more with the 21mm equivalent Ultra Wide-Angle Lens attachment. Use it for wide-and-bright landscapes or instant selfie-fun with all your friends united in one frame. When you just can’t get close enough, simply slip on the Close-Up Lens and focus up to 0.1m! It’s perfect for capturing everything from self-portraits to up-close-and-personal occasions. 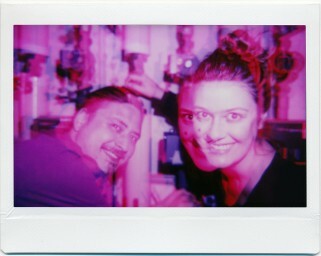 For stunning long exposure photographs, engage Bulb Mode on your Lomo’Instant Wide. Experiment with insane light paintings just by holding the shutter open manually for as long as you need. 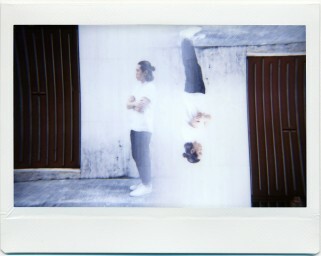 With the flick of the MX switch, you can create awe-inspiring multiple exposure classics in an instant. 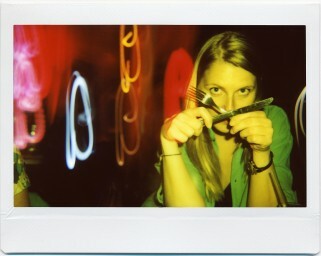 Add artistic style to your shots and experiment with cool and crazy results—4 brightly colored flash gels let paint your Lomo’Instant Wide shots with a smack of color. Perfect for those times you want to shoot the entire scene and not just your subject with a blacked-out background, this feature allows you to control exactly when and where the flash is enabled. 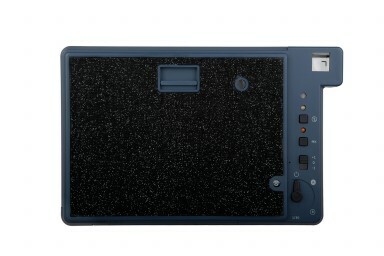 With the help of the Fully Programmatic Shutter, you get well exposed shots without the flash. Easily shoot lighter or darker photos using the exposure compensation control. 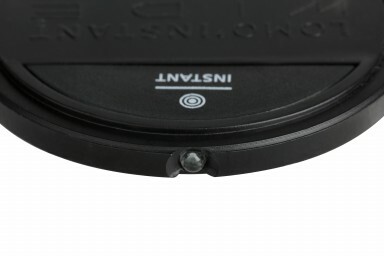 With three different zone focusing areas, it’s super-fast and easy to adjust to every focusing distance desired. Inspired by the vibrant scene at the top of the highest mountain on Hong Kong Island and famous spectacular panoramic views over the city, this statement camera will add a sparkle to all your creative photography escapades. 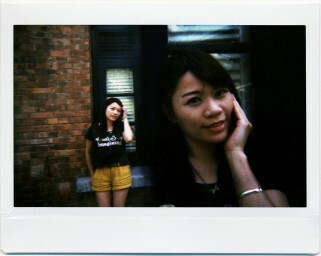 The Lomo’Instant Wide Victoria Peak edition is a mixture of shiny glitter silver faux leather and glitter black linen. Available in both single and combo package. 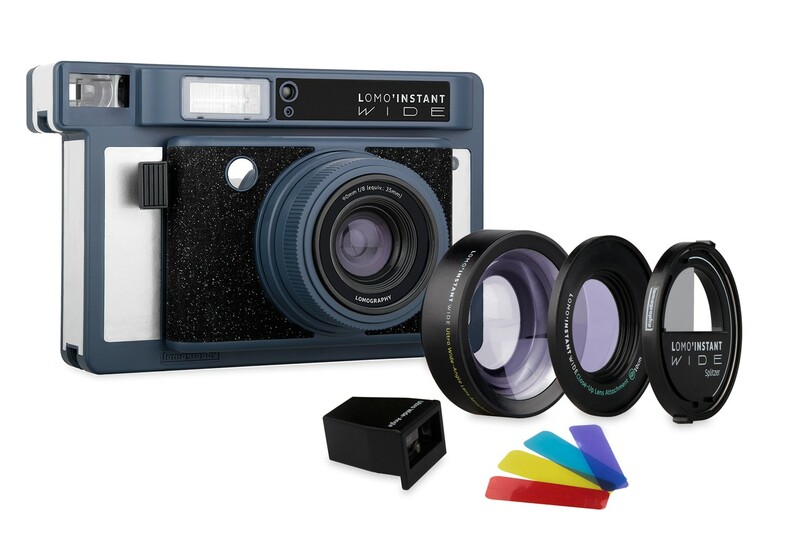 The Lomo’Instant Wide features not only manual exposure settings for the free-thinkers out there, but also comes equipped with a Fully Programmatic Shutter that lets you lean back and enjoy the ease of the instant. Long exposures, multiple exposures and color-flashed exposures—this camera gives you everything you need to explore your creativity. No matter if you want to capture wide and bright landscapes in the sunrise or get oh-so-close to your best friend’s lovely smile, the two sophisticated lens attachments will let you see the world from the right perspective. 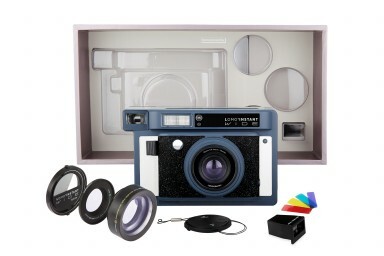 Please note: Fuji Instax Wide Film and four AA batteries are not included. 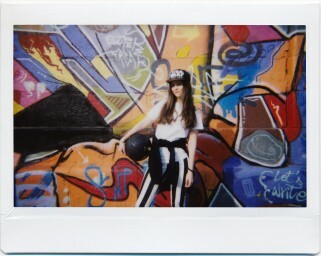 You can find the Fuji Instax Wide Film in our online shop.